Team isn't practicing right now, but we basically have the majority of offseason moves completed. We've had rookie camp and OTAs. So where do the Lions stand? QB- Our QB situation is pretty solid without much change. Stafford is our franchise QB. Shaun Hill is currently still our #2. Stafford is entering his 5th season. His first two years were mared by injuries. He's played all 32 games the past two seasons and thrown for 10,000 yds, while leading the Lions to the first playoff appearance in over a decade. He needs some work on footwork, but I like what we have here. WR- MEGATRON is a BEAST!! Behind him, we have Burleson coming off a leg injury, Ryan Broyles coming off a leg injury, rookie Corey Fuller, Mike Thomas, Brian Robiskie and Patrick Edwards all vying for a spot. We let go of Titus Young, who was productive when he played. Can our guys stay healthy? Who is going to step up? Value Increase- Positive. Titus is addition by subtraction. Fuller/Edwards can make a splash for us. A lot depends on Burlesom/Broyles staying healthy though. TE- This group has been the same for the past few seasons. While not as star studded and lauded as the Patriots TEs, Pettigrew/Scheffler have been productive for us and Heller was used in a minimal role but made plays occasionally, especially with blocking. Lions add two rookies in Michael Williams from Alabama and Joseph Fauria (as an UDFA) from UCLA. Both are big guys who can fill in for Will Hellers role. Fauria has the chance to oust one of our top two TEs when their contracts end next offseason. Value Increase- Unknown. The rooks have a legit chance to outproduce Will Heller, but as third/fourth string TEs their production will be minimal to start off. Still, we added depth at the very least. RB- Lions really suffered last season without Jahvid Best. 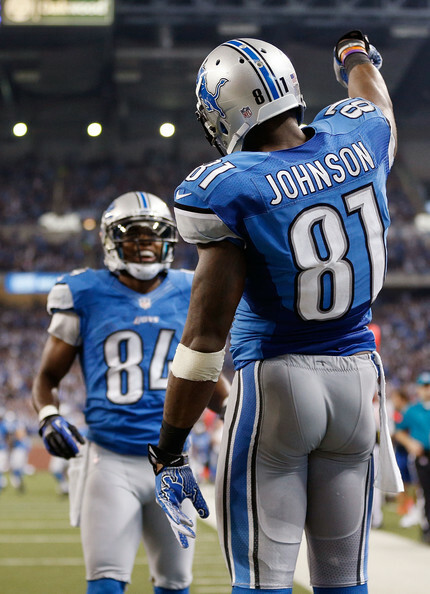 It's no coincidence that the Lions won 9 of the last 10 games Best played. Our offense was built around having that big play dual threat RB to feed off of Calvin. Jahvid Best opened up our offense even when he wasn't the one making plays, because teams had to account for him. When he was out, our offense became one dimensional and we suffered for that. 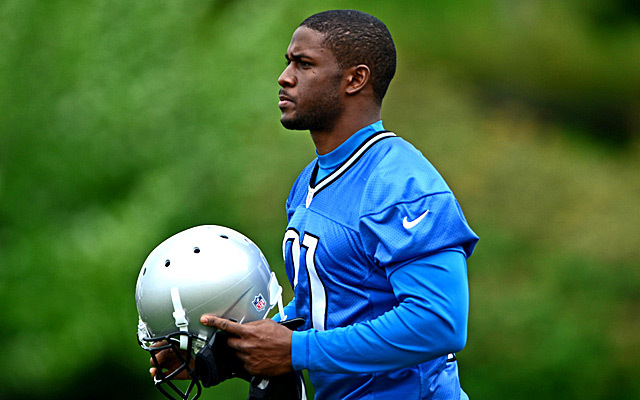 Reggie Bush is the rich man version of Jahvid Best. This role is almost custom made for him to succeed. This FA signing was arguably the best fitting FA signing of the offseason. Mikel Leshoure is now over a full year removed from his Achilles injury and should be almost 100%. Joique Bell is solid. It'll be interesting to see if/how the Lions use rookie Theo Riddick. Will he be used as a FB? Will he see the field at all? Value Increase- Positive. We added the best option for us and the missing piece in Reggie Bush and an intriguing option in Riddick without losing anything. We saw our goal line run game improve last season. If we can maintain that and get the big play action from Bush, we can have the balanced run game the Lions envisioned (but never saw come to light) when they drafted Best/LeShoure in back to back drafts. OT- We saw one starting LT retire and another change teams in free agency. We did not add a significant OT this offseason, however, that does not necessarily mean we have glaring holes there. 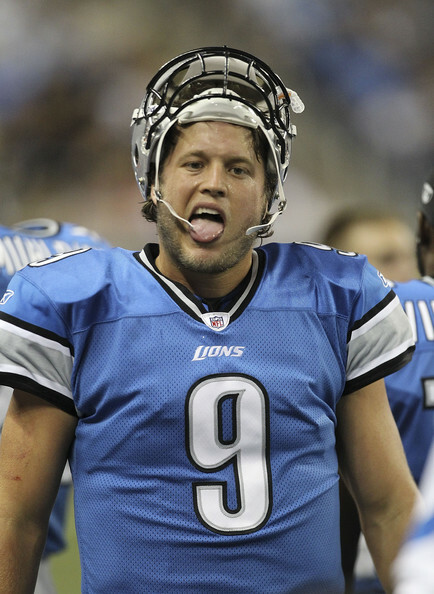 Lions drafted Riley Reiff in the first round last draft with the intent of him taking over for Backus at LT. They've also stuck by 4th round pick Jason Fox for the past few years while he got healthy and developed. This is their chance to show what they've got. They are young and unproven. Value Increase- Negative. At least for now. Our depth decreased rapidly, however, our starters might actually be better. Only time will tell. But as for now, the unknown cannot be seen as a positive. OG- Stephen Peterman was cut after fans have been rallying for it for the past few seasons. Peterman commited more pre-snap penalties than he was even credited for. This was the one spot among the OL that people wanted an upgrade at the most. And that says a lot considering the fans "appreciation" for Backus, Cherilus and Raiola. Rob Sims however has been our best OL since he got here. 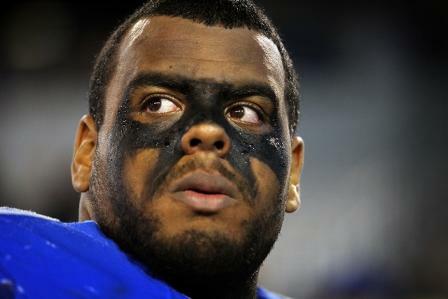 Lions did what most fans clamored for and drafted G Larry Warford in the draft. Without taking Chance Warmack top 5, this was the best case scenario for Lions fans. Lions also signed Jake Scott for depth. Value Increase- Positive. Even though Warford is a rookie, he's instantly better than what we had before in Peterman. Bill Nagy is also an intriguing young OL that could move into a depth role. Starting play will improve and we have solid depth. C- Raiola. Apparently he's been "bulking up" this offseason. But he took a paycut and we're already starting 3 new guys along the line. DE- Lions saw KVB retire and Cliff Avril leave in free agency. They also lost depth in Lawrence Jackson. This is the one unit on the team that doesn't have any starters returning and also lost the first guy off the bench. They did sign Veteran Jason Jones in FA and spent their #5 overall pick on Ezekiel Ansah out of BYU. Devin Taylor was added via 4th round pick. Willie Young and Ronnell Lewis are the only returning players. Value Increase- Negative. There is no way around this. Jason Jones might be able to provide the little production KVB gave us last season, but we are relying on a raw as hell project that has to learn how to play the game with Ansah. Despite not wanting to give Avril the money he wanted (turned down $10M per), we got considerably worse as of now and in the immediate future. DT- We have arguably the best DT duo in the league. Suh and Fairley are both young players with tons of upside who are going to be around for awhile. I wish we did a better job of putting guys next to them this offseason, but we'll see what the DEs do. Corey Williams has not been re-signed. Sammie Hill left via free agency. We did add young vet C.J. Mosley. Value Increase- Unknown. Losing Hill hurts worse than losing Corey Williams. But making Fairley the full time starter next to Suh improved this unit. I'd still love to add another DT simply for depth purposes. Let's wait and see how this unit shapes up. Right now, it's up in the air, IMO. LB- Our only significant difference at LB this year is Justin Durant leaving via FA and adding a 7th round pick in Brandon Hepburn. Durant was a starter for us and his spot is up for grabs, presumably between Travis Lewis and Ashlee Palmer. So far, Travis has gotten the majority of work there in OTAs. Value Increase- Negative. Durant was good in run support but spent the majority of time in a Lions uniform injured and unable to play sideline to sideline. But there is no doubting that we lose depth at the position with him gone. We'll see if Lewis and/or Palmer can fill that void, but as of now, this unit has gotten weaker. S- This is the unit we gained the biggest advantage in on defense. 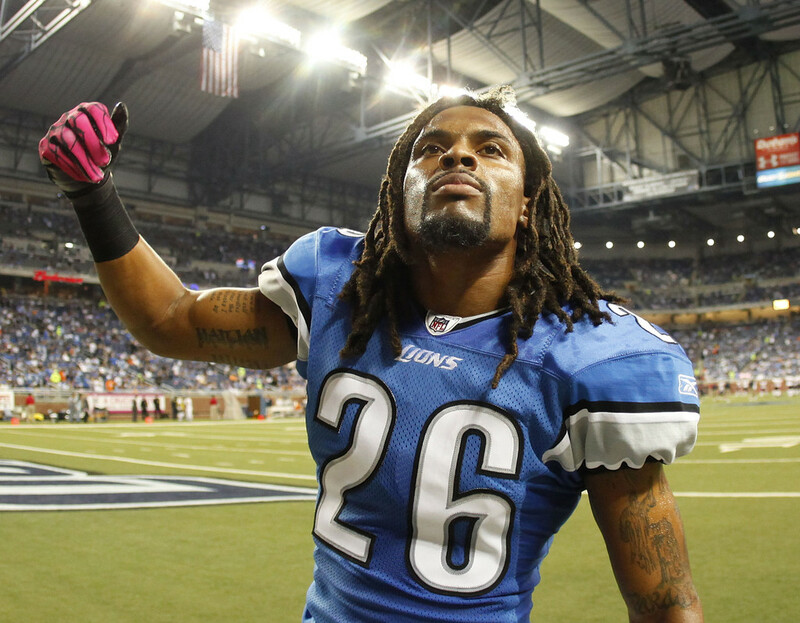 Adding a above average safety in Glover Quin to pair with a returning Louis Delmas, not only helps us with the starting unit, but pushes Amari Spievey to the bench for depth, where he should do well. This also allows us the opportunity to give a good look to Ricardo Silva since we won't need to vet presence of a guy like Don Carey. Value Increase- Positive. Absolute upgrade. We lose nothing and gain a considerable upgrade at SS, and possibly on the bench with Spievey/Silva. CB- The merry-go-round of our secondary. It's ever changing and never improving. The only good and constant thing in this unit is Chris Houston. Thank God we were able to re-sign him. Lions spent their highest pick yet in the Mayhew/Schwartz era on a CB in Darius Slay. Whom they took over the likes of Johnathan Banks. They obviously like what they see in him. We have three second year guys, although Greenwood was injured all season. Value Increase- Unknown. ALOT will depend on health. Everyone we have at CB had health issues last season, including Houston. 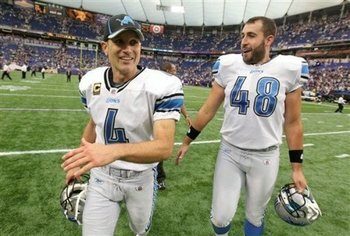 K- Jason Hanson retired after 72 years in the NFL. I think he's a quitter. David Akers and Kickalicious will duke it out to not live up to Hansons level. P- Nick Harris sucked. We drafted a guy. Value Increase- Unknown. It's hard to be worse than Harris, despite his touchbacks. Depending on a rookie punter. LS- Don Muhlbach is a pro-bowl LS. What else needs to be said?!? PR/KR- Stefan Logan is gone. Maybe we can get a guy who can fair catch a ball? What do you think of our offseason? Where do you think we stand, as of now? What would you like to see the Lions address before the start of the season? I agree with everything but the DE's and LB's. Avril was solid last year, but we all know KVB was downright horrible. 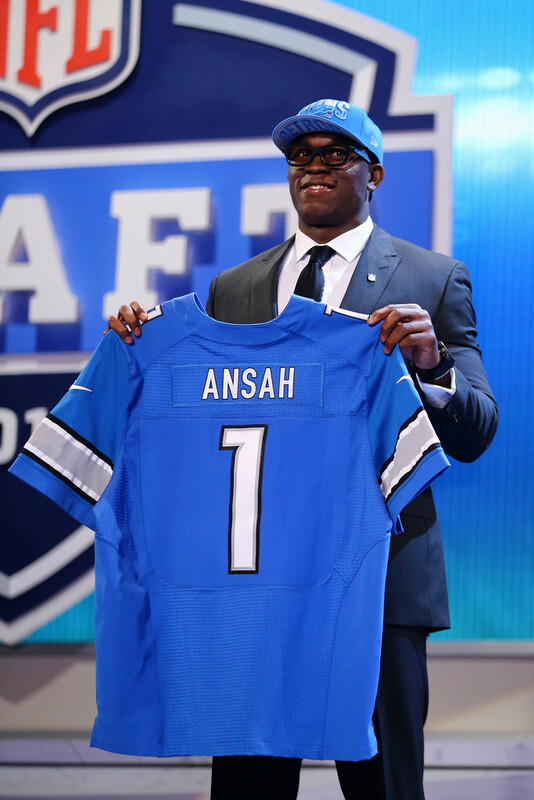 And this whole notion that Ansah is some type of project pick is overblown. The guy already has football instincts. He may need time to reach HIS ceiling, but he is already a significant upgrade over KVB. Id say Avril to Jones is a downgrade. I would call the DE's a wash myself. And Durant was such a liability in the pass game, that I think it almost negated whatever good he brought in the run game. I would call that a wash as well. I like most of the write ups. I think you undervalue Ansah and Jason Jones a little bit, and I think you're overrating the loss of Durant. Other than that I really like the analysis. Considering Ansah is penciled in as the starting RDE, I believe he will be an upgrade over KVB, and while Jones won't put up those 9 sacks left by Avril but I feel the defensive line as a whole plays better. The one who I feel is lost in all of this is Ronnell Lewis. I really don't see where he fits. You really think Ansah will be worse this year than KVB was last year? Never said it would be immediate as in Week 1 however I believe it will show to be as the season progresses. KVB was arguably the worst starting DE in the league last year. Name some DEs you think were worse. Frankly, 3.5 sacks from an end playing in the wide nine next to two of the better DTs in the league is abysmal. And he was worse against the run.